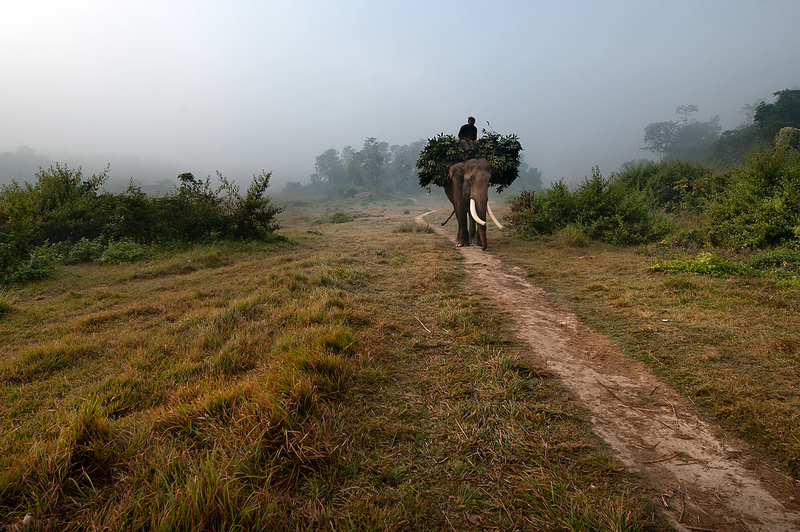 The elephants are taught to drag logs on a chain, beginning with small logs with the size gradually increased. The second skill introduced is to teach the animal to lower its head and push a log along the ground with its tusks. It is also trained to lift logs using the tusks instead of obeying its instinct to lift it with its trunk. A mature elephant is capable of lifting up to a 400 kg. log with its tusks and dragging a load of 1.5 tons.